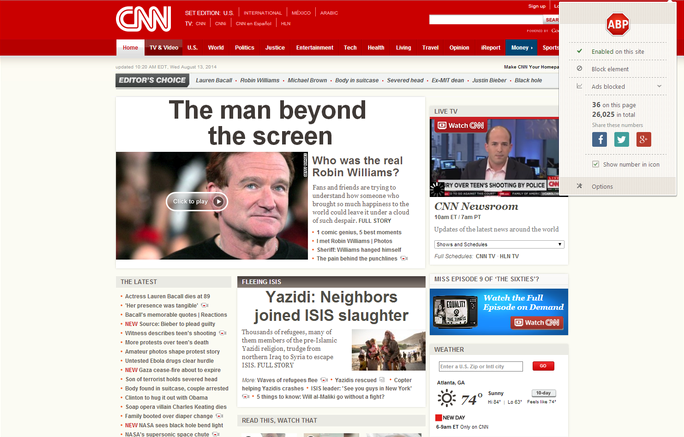 It is very distractive while reading the news or surfing websites when overuse of ads and popup are on the web pages. Overuse of ads ruins the user experience and sometimes just clicking the link will open new tab unnecessarily wasting of data causes websites to load slowly. There are dozens of free ads blocker extension are available for web browsers. 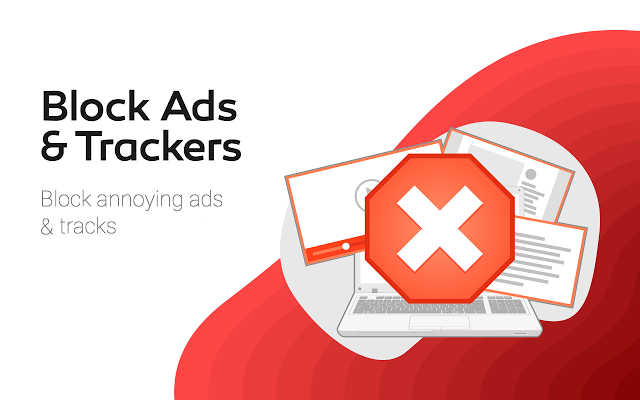 These Ads-blocks allow the user to block annoying ads, block trackers and prevent malicious ad and save data. Ad-Block is most popular ads blocker extension for the majority of the browser supporting Chrome, Safari, Opera and Firefox. Once installed it will start automatically there is no need of configuration. It uses a filter list to automatically block ads from an unknown ads provider. Customization option is available and white-lists the website to show ads. Support: Chrome, Safari, Opera and Firefox. Ad-Block Plus is a community-driven open source extension with supporting of Chrome, Firefox, Opera and a new version is released to support Internet Explorer. Over 100,000,000+ active users made the most popular ad blocker. Ad-Block Plus can also help protect your privacy on the web through anti-malware and anti-social tracking features. As an acceptive initiative by Ad-Block Plus will allow small and static ads to generate revenue for the most of the websites, mostly their income heavily depends on advertising to pay out their expenses as they are providing free content access. This feature can be disabled at any time. Support: Chrome, Safari, Opera, Firefox and Internet Explorer. 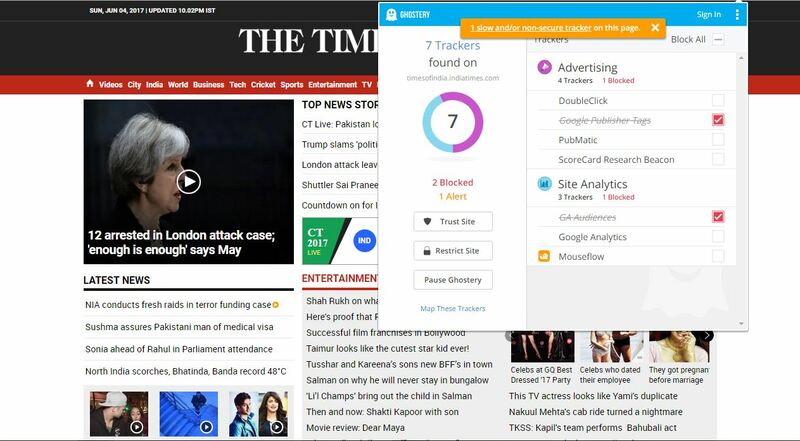 Ghostery is one of the best tools for tracking blocker. 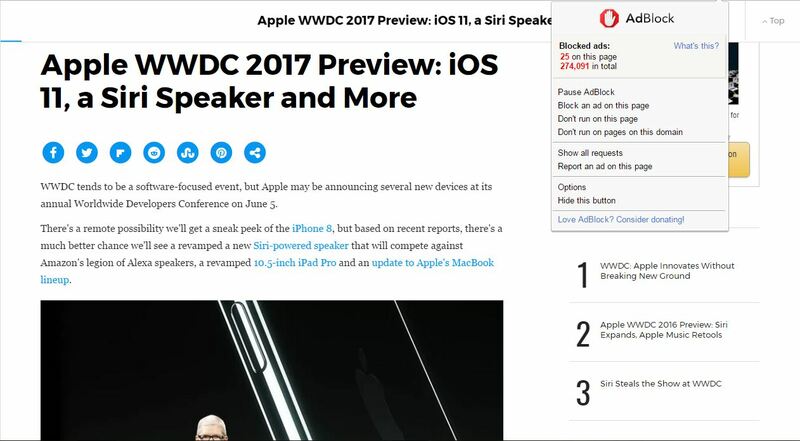 It features blocking of script, element, and cookies. Some site takes a long time to load the page due to heavy use of tracking script Ghostery will block such tracker and make significant fast loading of a website. It supports major browsers. Support: Chrome, Firefox, Safari, Opera and Internet Explorer.